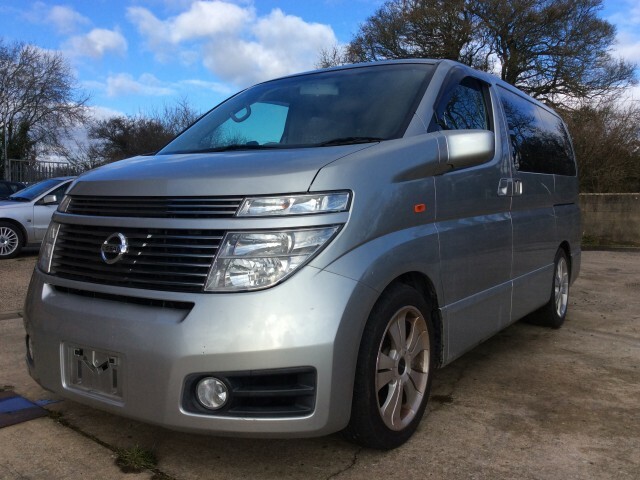 We are experts in high specification, light weight camper van conversions, and the Nissan Elgrand is a great choice for a camper. 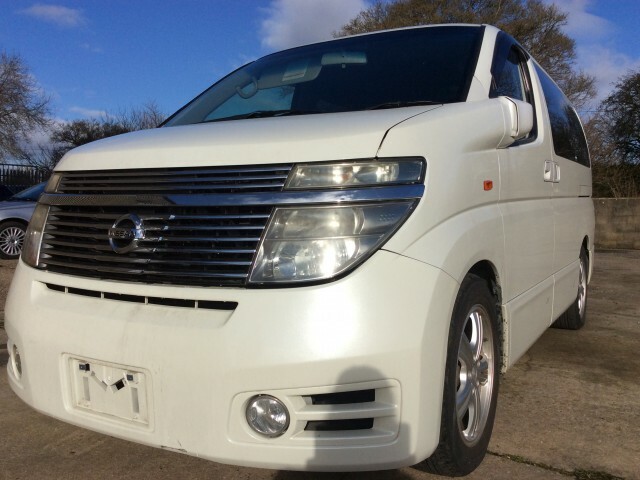 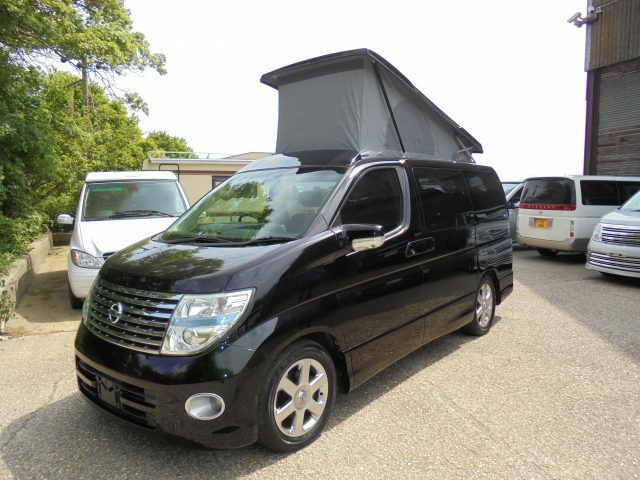 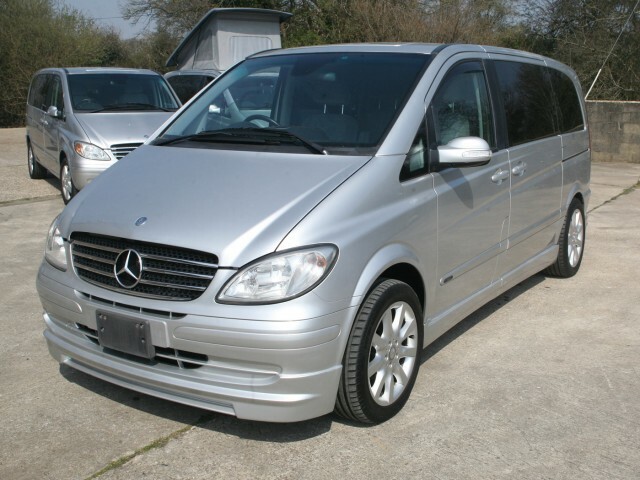 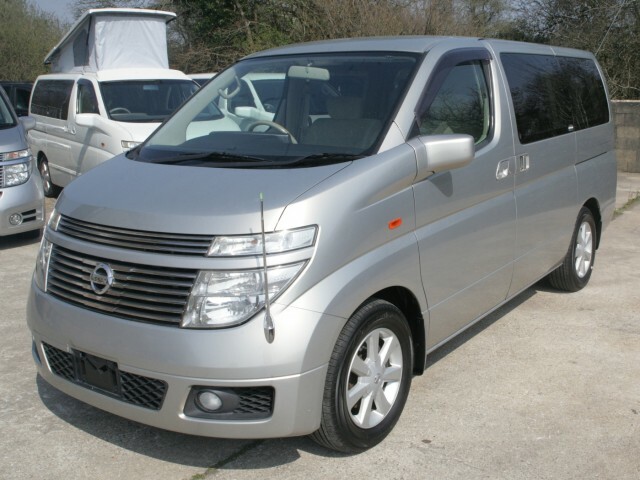 We are the UKs premier specialist in Nissan Elgrand Camper Conversions. 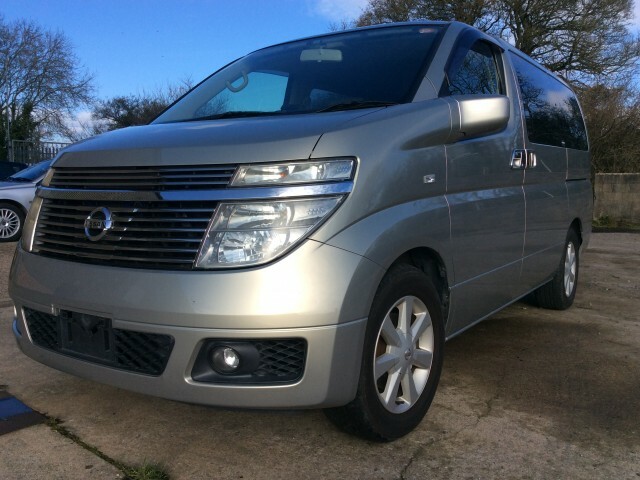 The Nissan Elgrand makes a superb base for a camper van conversion for a number of reasons. 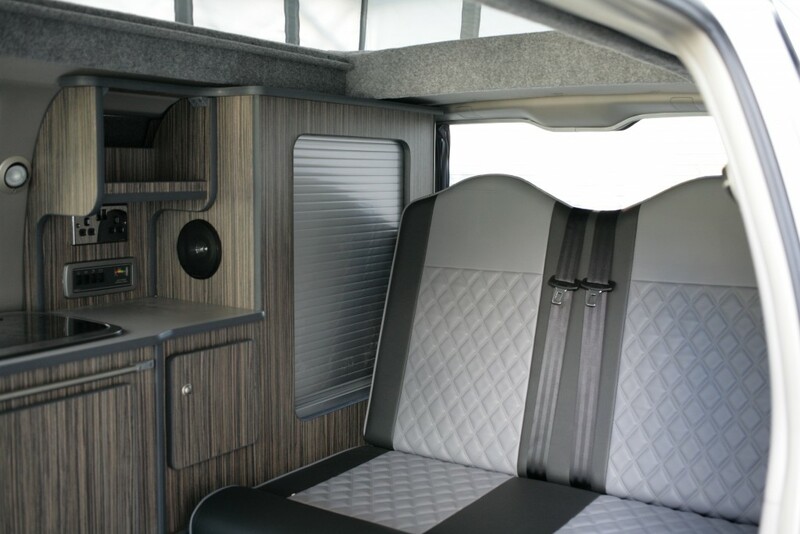 Not only does the rear of the Elgrand come fully lined and insulated from the factory, the rear is accessible without having to exit the vehicle. 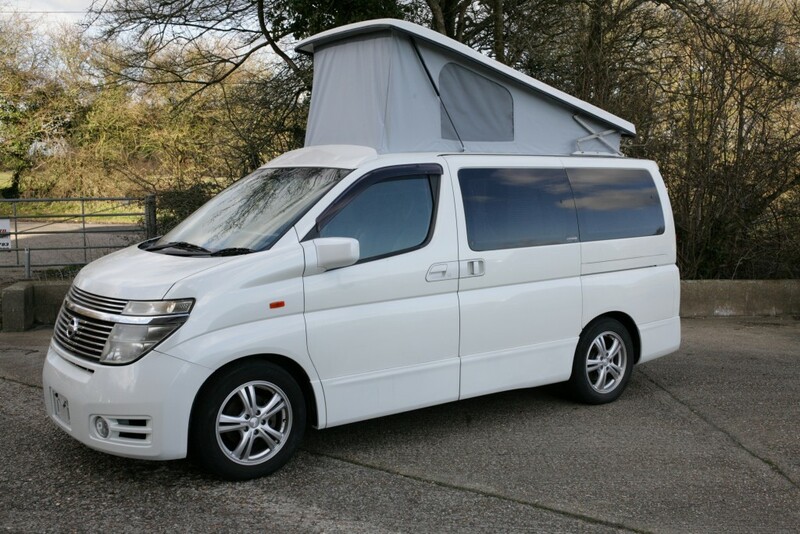 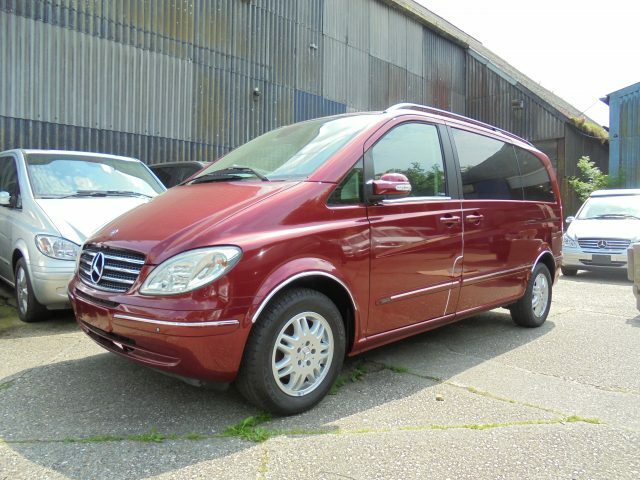 This makes it an ideal car to convert into a camper van. 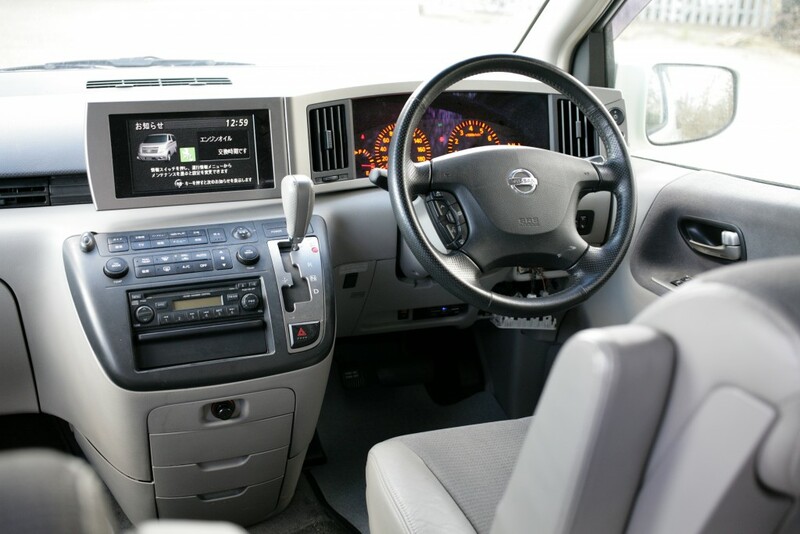 Another excellent feature of the Nissan Elgrand is the air conditioning, which is piped all around the front and rear, which means that the living quarters can easily be kept cool in hot weather. 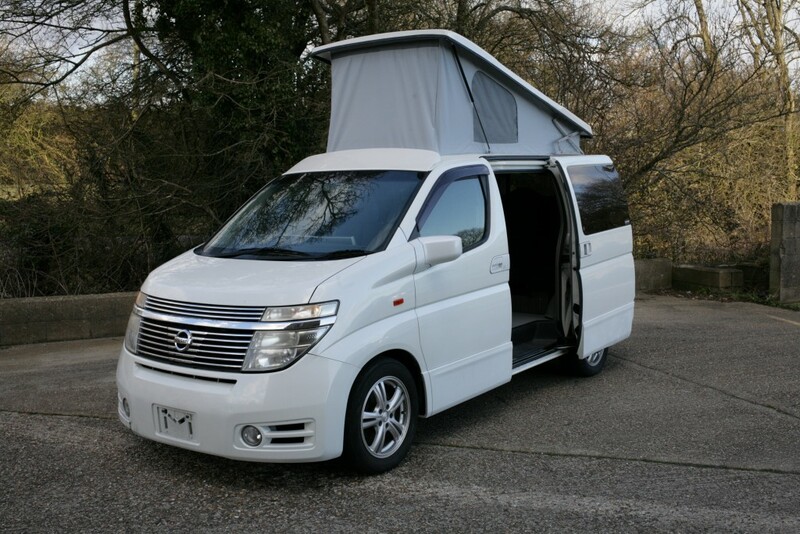 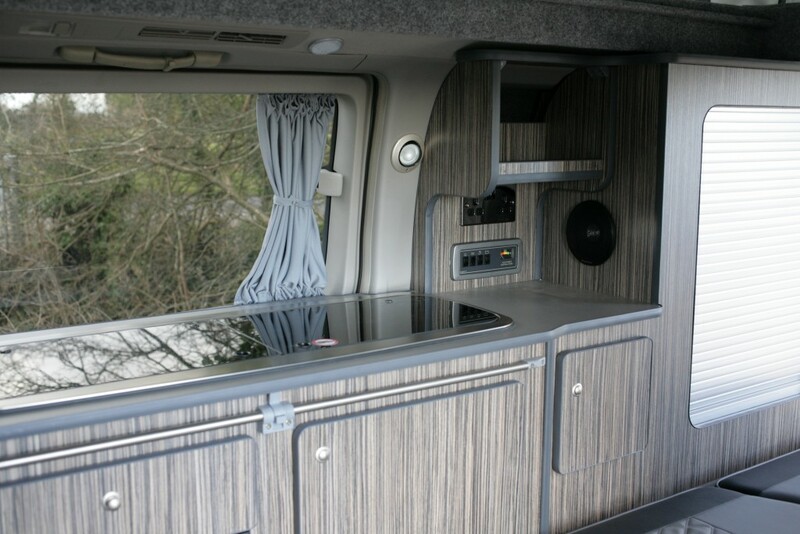 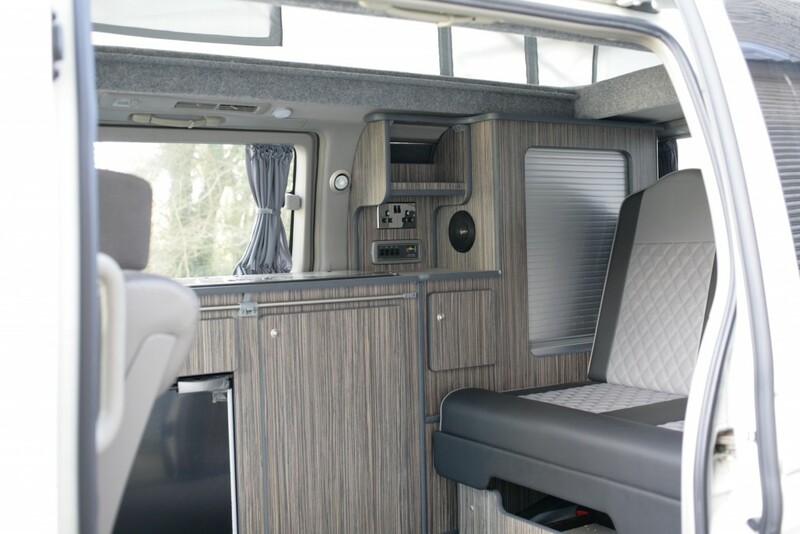 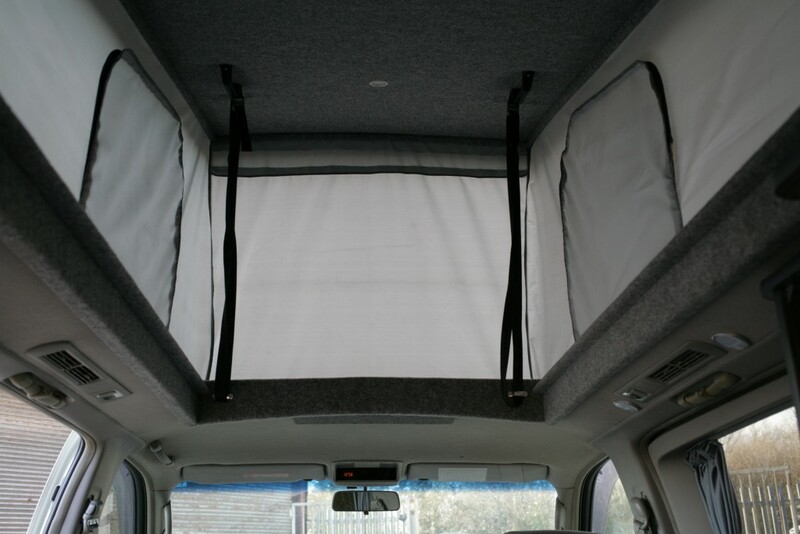 Below are some of the details of our Nissan Elgrand camper van conversions. 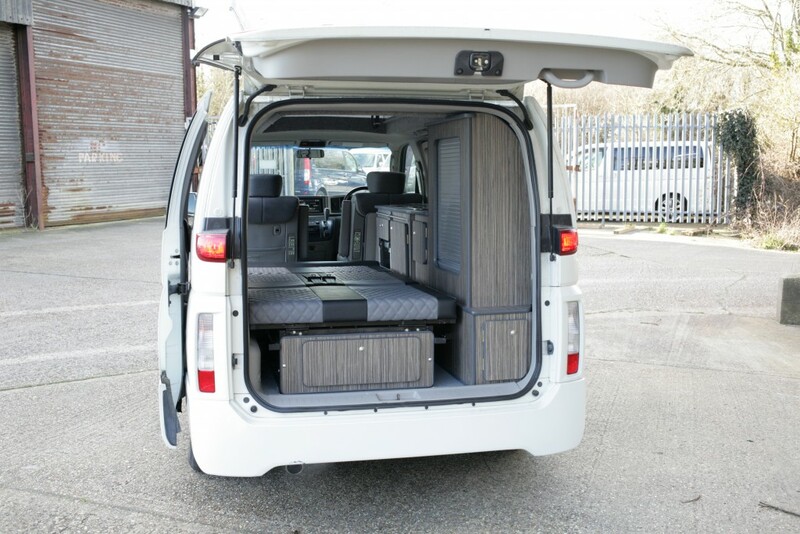 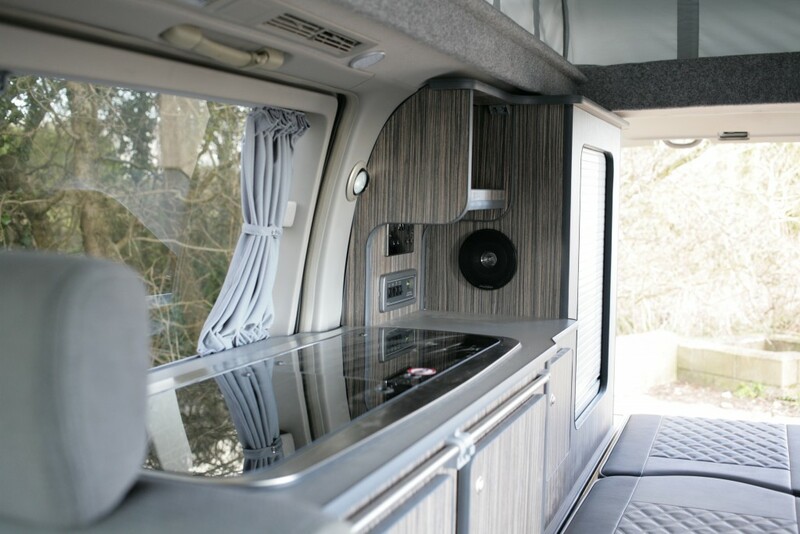 Please call us if you are considering a camper van conversion, as we can cater for a wide range of requirements. 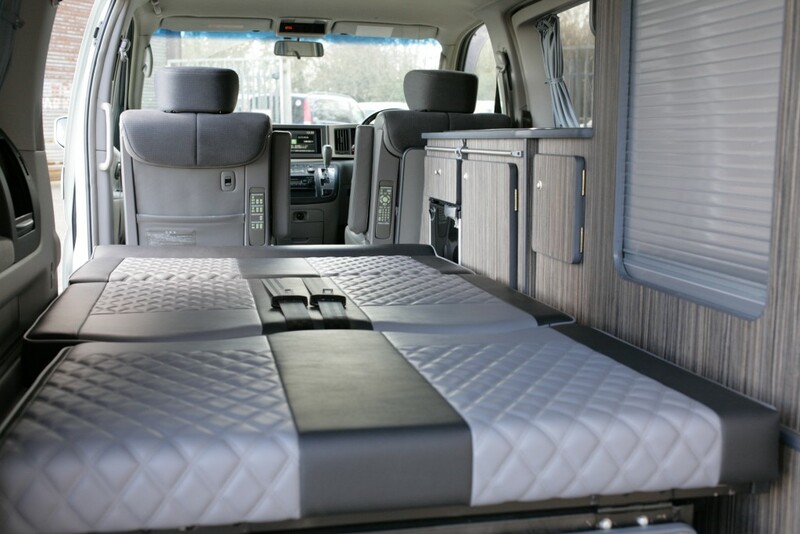 We provide a bespoke rock and roll style bed for the Nissan Elgrand which fits the vehicle perfectly. 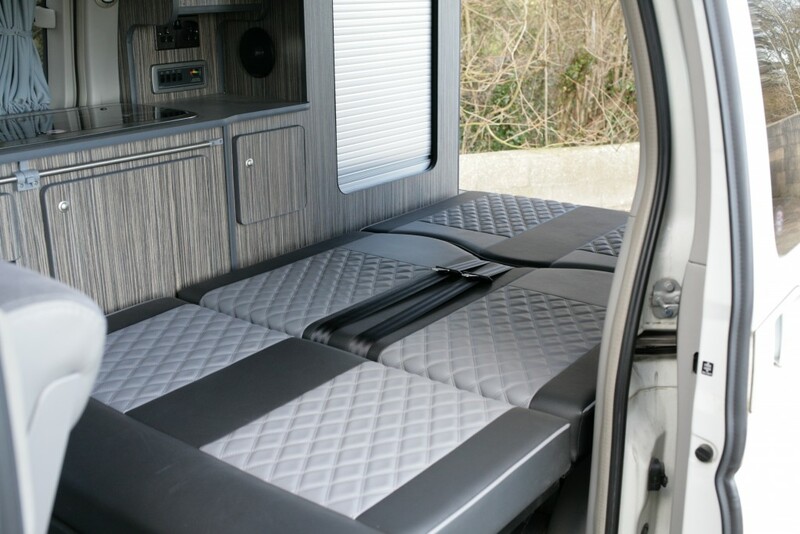 Upholstered in your choice of material, this bed is larger than the beds that fit into most other camper vans thanks to the larger floor area of the Nissan Elgrand. 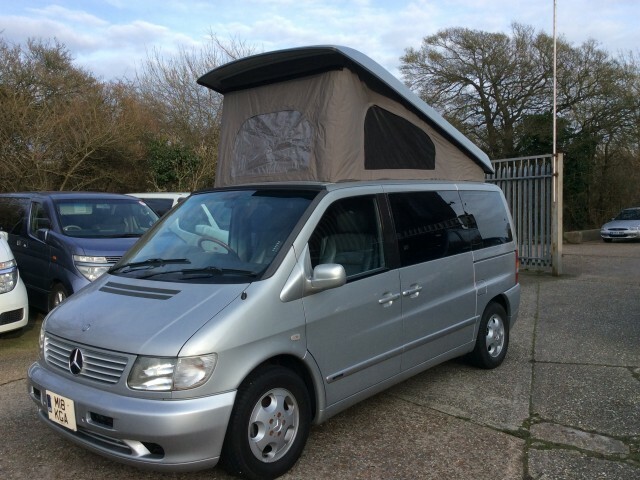 We offer an exclusive pop up roof, which is very strong, adding to the structural integrity of the vehicle and allowing you to accommodate another 2-3 sleepers! 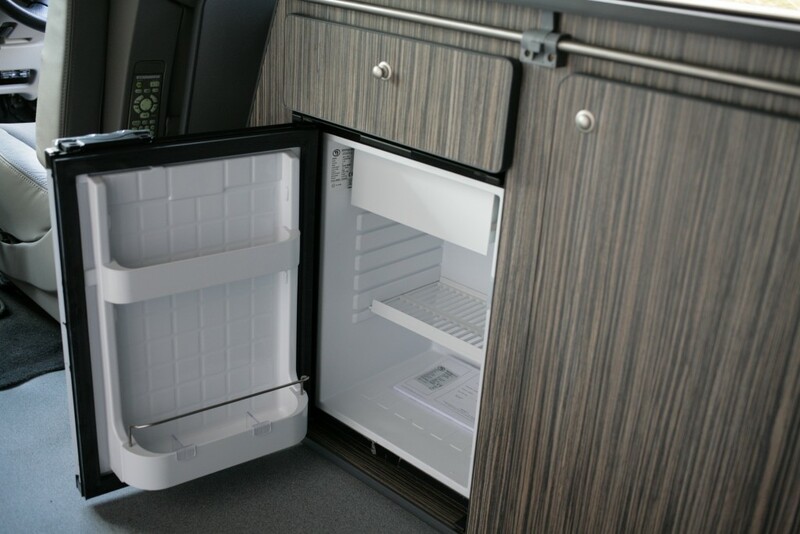 We use quality components throughout – a professionally installed leisure battery provides power for the low energy LED lighting and a highly efficient, low energy fridge unit. 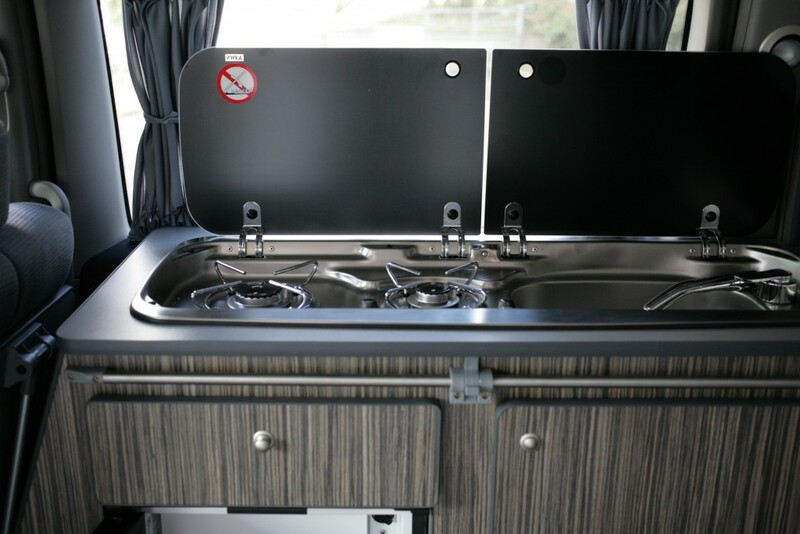 Onboard water, gas cooker, and 240v electrical sockets ensure you have everything you need to camp in the wilderness – or the local camp site. 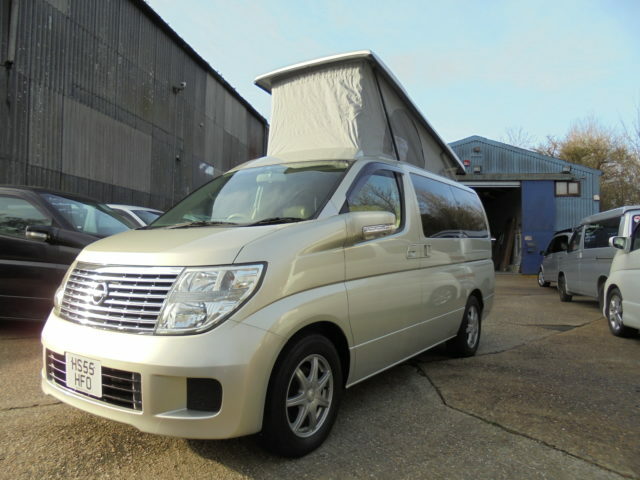 The Nissan Elgrand is already fully insulated, but if you are going to be camping in the colder months, we can install a full heating system. 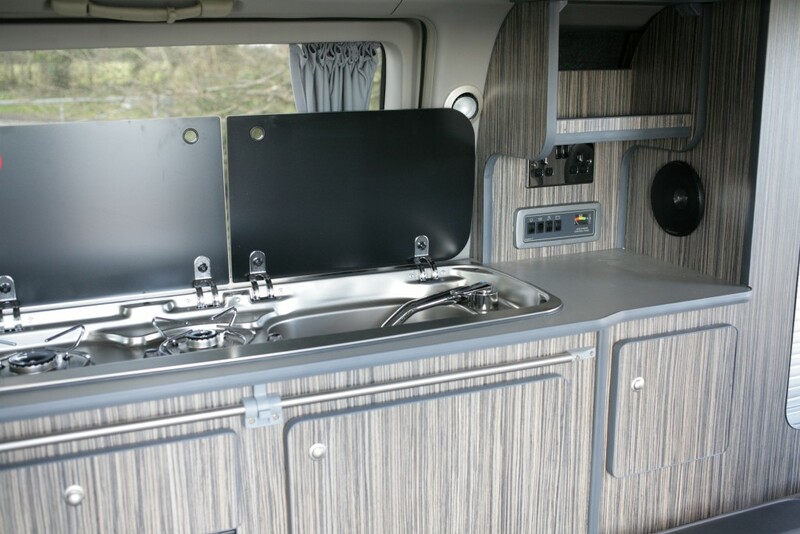 We can even install a portaloo if you don’t want to leave the comfort of your campervan!